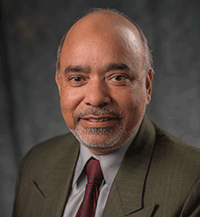 Osman Ahmed was re-elected to a two-year term on the Board of Directors of International Association for Management of Technology (IAMOT). IAMOT is a premier association for professionals and academics in the field of Technology Management and related disciplines. Ahmed's term began January 2017 and ends January 2019. This is his third consecutive term as an IAMOT board member. "My engagement at IAMOT provides me a unique opportunity to acquire knowledge and share my views as a thought leader on the topics of innovation and technology management," Ahmed said. His responsibilities include attending the association's annual conference and board meeting, and participating in selected committees. Ahmed joined PNNL in 2016 as a Principal Technical Advisor in the area of electricity infrastructure optimization and control. He leads an initiative to deploy, demonstrate, and commercialize the exceptional value that IOT (Internet of Things) ecosystem can offer. Ahmed has published and/or presented more than 75 technical papers worldwide. He holds more than 100 patents both nationally and internationally, including pending patents. Ahmed earned his undergraduate degree from Bangladesh University of Engineering and Technology, his master's from the University of Windsor in Canada, and his Ph.D. from the University of Wisconsin, Madison—each in Mechanical Engineering.